One of the most popular forms of poker in the world, Omaha Hold’em, is enjoyed because of the ‘action’ nature of the game. The leading online poker room in the world, PokerStars, is looking to expand its popularity by introducing two new Omaha derivatives for both cash games and tournaments. The first is a rather innocent version, Five Card Omaha. In this version of the game, instead of the normal four cards players are dealt on the flop, players receive five cards. The betting rounds are the same as normal Omaha (pre-flop, post-flop, turn and river) and there are the five community cards that are common with those games. At showdown, a player must use two (and only two) of their hole cards in coordination with three of the community cards to make the best five card hand. This variation of the game, with its five hole cards, offers players many more potential combinations than were already available under the previous four card Omaha format. PokerStars, in addition to offering it in cash games and tournaments, offers the game in Pot Limit and No Limit formats. PokerStars has also made a Hi/Lo version available for those who have a proclivity at that style of poker. The other new Omaha variation offered by PokerStars is actually a variation on the Five Card Omaha version. Called Courchevel, players receive the same five cards that Five Card Omaha does on the deal. The variation comes after that point; the first card of the flop is dealt before players begin the pre-flop betting phase. With one-third of the flop on the table, players can make a decision (with their five hole cards) whether to continue on with the hand or discard it there. After the pre-flop round of betting is done, the completion of the flop is dealt with the other two cards. Another round of betting commences, after which the turn comes down. Another round of betting brings the players to the river and a final round of bets. At showdown, like Omaha and the five cards version, a player must use two (and only two) hole cards with three of the community cards on the table. Courchevel brings several exciting elements to what is already a breathtaking game. Players should be able to make a more educated decision by seeing the first of the community cards before they continue pre-flop. It is offered in Limit, Pot Limit and No Limit versions and a Hi/Lo version is offered. At this time, Courchevel appears to only be offered in a cash game format. The new games come on the heels of the introduction of new games at their competitor/sister site, Full Tilt Poker. Roughly ten days ago, Full Tilt Poker introduced Five Card Stud to their repertoire of games, but the big new addition was Irish Poker. In what seems to be a mix of several variations of poker, Irish Poker starts with four hole cards dealt to the players. After the flop, players still in the hand must discard two cards from their four hole cards if they want to continue. As with the flop games, the winner is determined by the best five card combination after the betting round on the river. The new additions on PokerStars (and that of its sister Full Tilt) should only serve to enhance their already dominant position in the online poker industry. 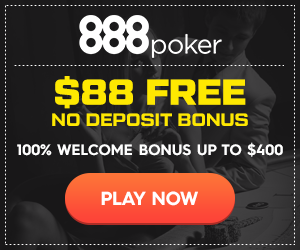 According to PokerScout.com, PokerStars’ seven day average for cash game players (the grading standard in the industry) is 23,400 with a peak number of 37,947. To put this in perspective, the second place site, PartyPoker, has a seven day average of 3300 players and peaked at 5620, over seven times the average less and a whopping eleven times less than the peak that PokerStars achieves.